Warren Price spent six months building a Nutshell Pram. 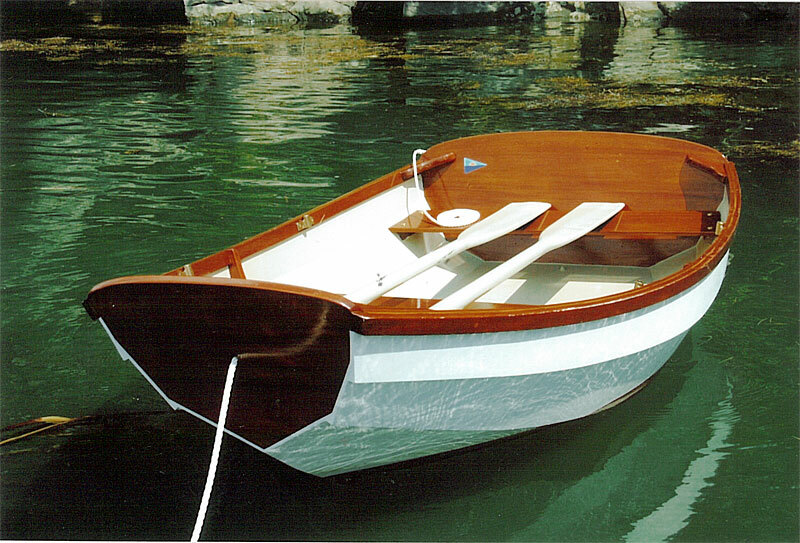 He wants this Joel White–design as a tender for him 18′ Lyman Islander which was named THE QUEEN when he bought her. Naturally, the pram will be THE LADY IN WAITING. Warren launched her in June 2011 on the Cross River in Boothbay. Maine. 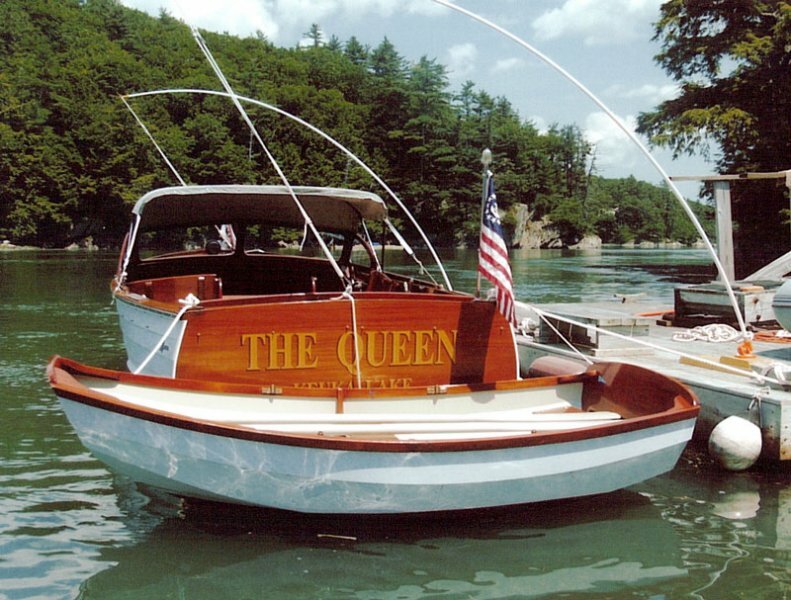 The Prices keep her on their float in the river alongside THE QUEEN. 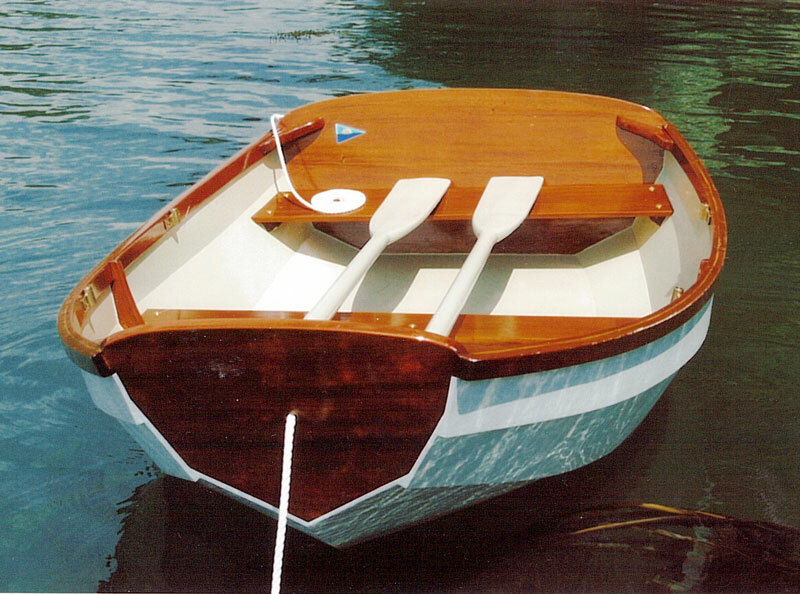 Warren built the hull from okoume plywood, making the thwarts and transoms from solid mahogany. He writes that the project took longer than expected, but he is happy with the results. He adds that she rows like a dream. Plans are available from The WoodenBoat Store.